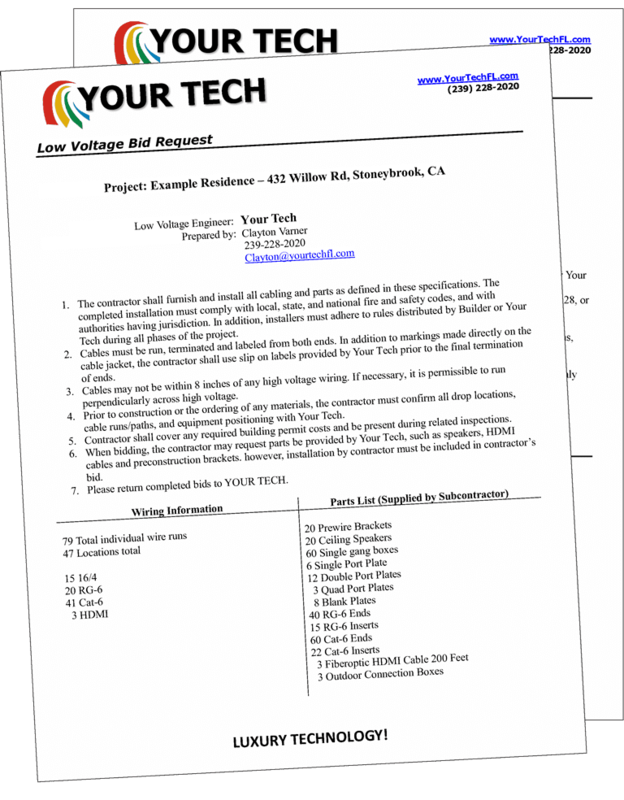 You'll be informed, know costs and have exact plans for local installers to bid your project. Designed by an Award Winning Team. Have local electronic companies use your customized designs to get the best price or do it yourself! 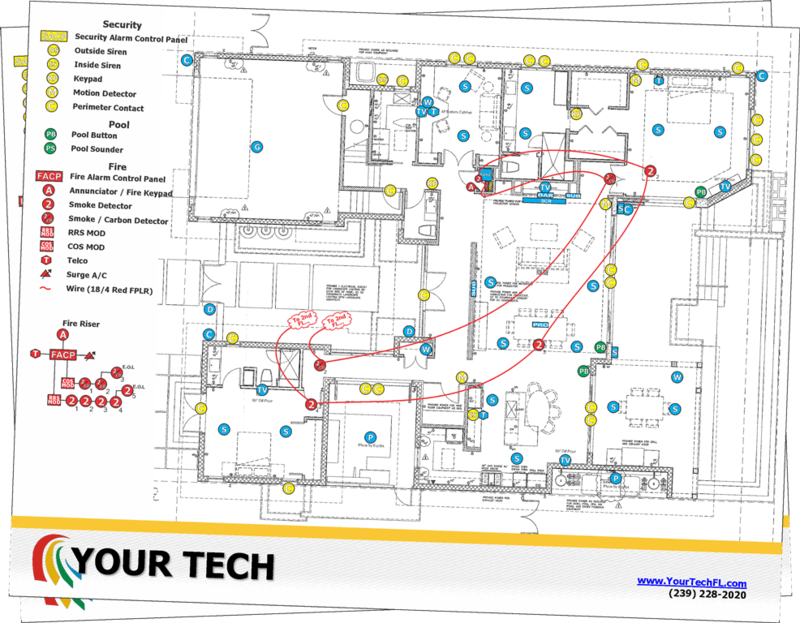 Are you thinking about designing, wiring, and installing your own system? 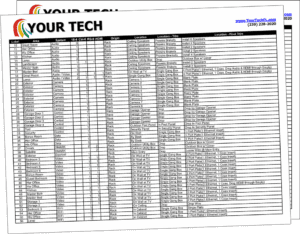 Are you planning to hire a local electronics company? Have you been wishing you could compare apples to apples when looking at quotes from local companies? Do you just want to understand the Technology so you can make the best choice? Do you build homes or investment properties and need advice? 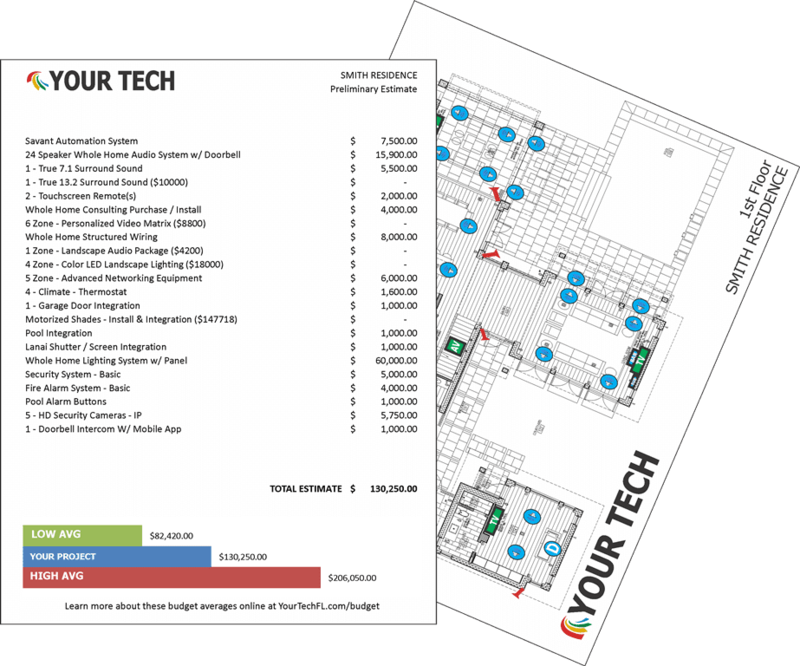 Are you getting started in the tech business and want your projects to go smoothly for clients? A system perfect for you! 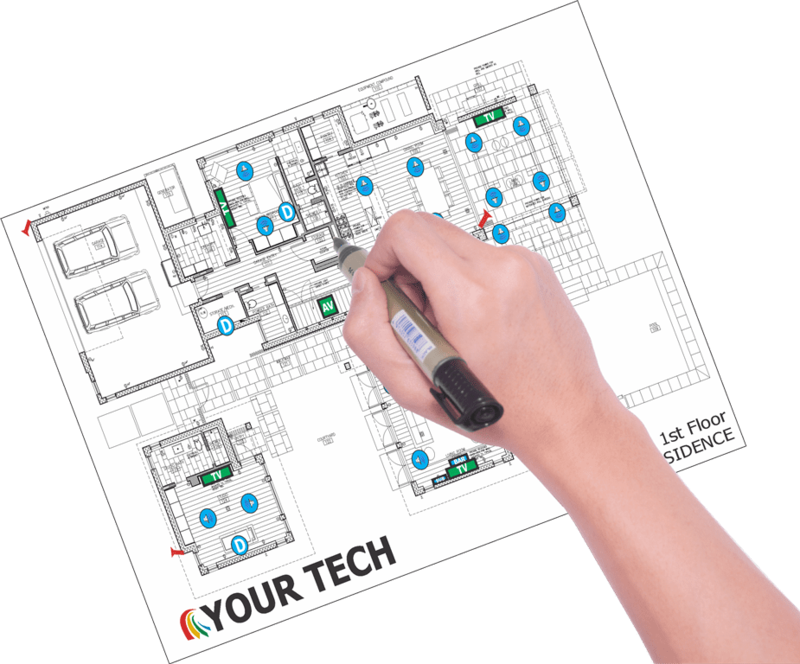 Your first drawings are designed to show you everything you can do in the home. We know you'll want to make changes - this is why we include two free revisions. We give you 1 free consultation. You can use this time to edit the plans, discuss connections or get answers that will help you implement your plan whether you're doing it yourself or bidding the project out to a local tech guy. 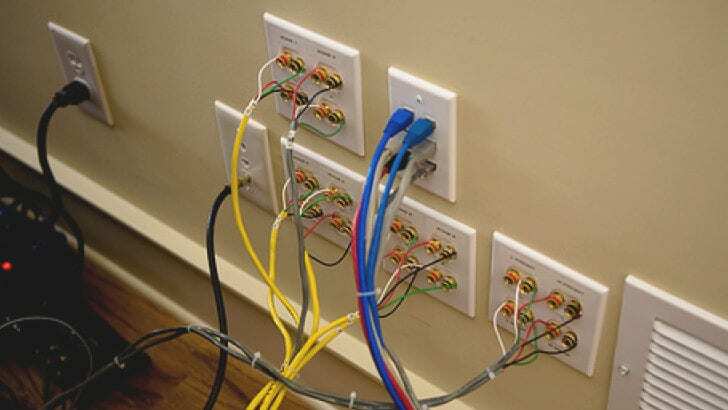 Send us photos of your wiring and we'll verify the wiring is correct! 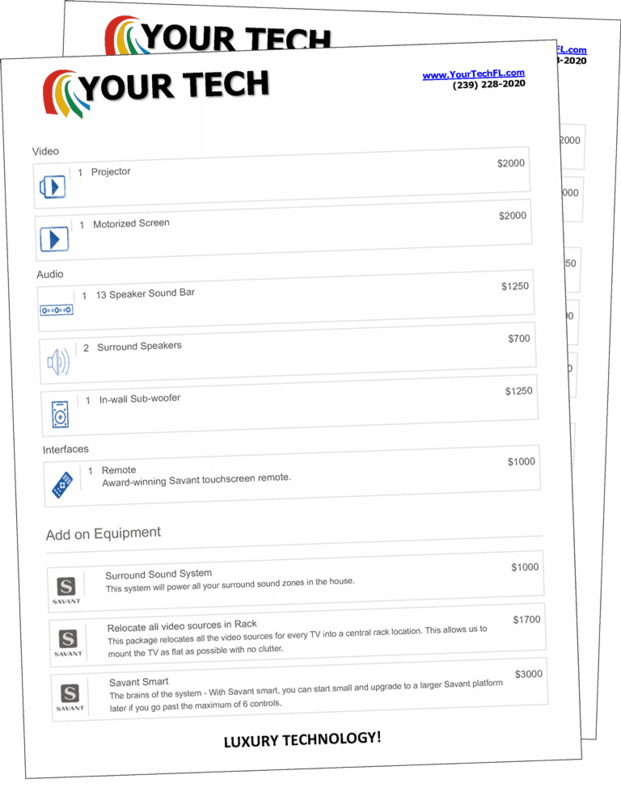 Everything you need to know about speakers and video options. Parts are not created equal. Compare features side by side. Right the first time! Find the order tasks should be done in this guide. This guide compares wire types and offers tips on installation. What exactly is the Design and Estimate Service? The Design and Estimate Service is a comprehensive service customized to your very own home. 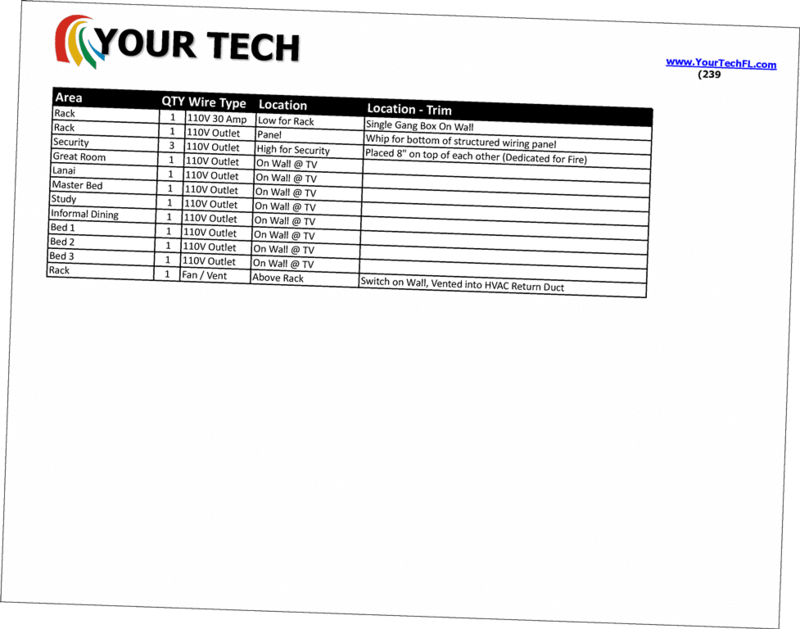 You could use this service to plan your own do it yourself installation or supervise the contractors you've hired. 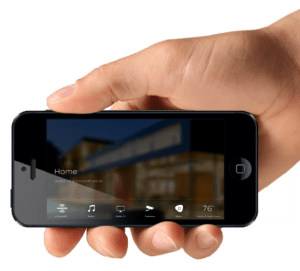 It covers all technology in your home including your audio, video, security, WiFi, lighting, climate, pool, irrigation and user interfaces you'll be using to control your home. By using this service, you'll be prepared to discuss your project with local installers and, if you wish, you'll even have award winning experts on standby to solve issues for you. Will the design work with any system? 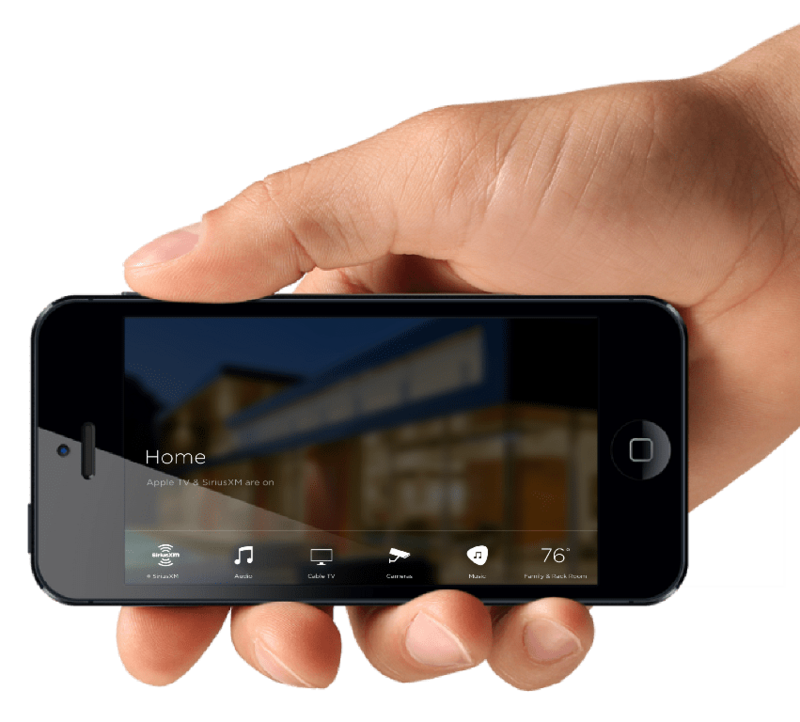 Yes, there are many smart home and audio video systems to choose from. 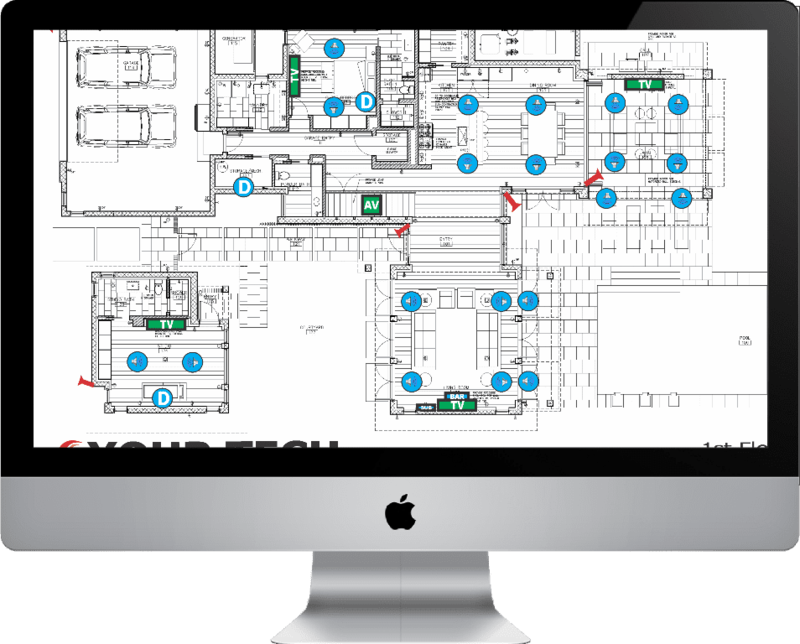 Our designs are compatible with all major systems on the market today like Savant, Control 4, Elan and Crestron. Wiring techniques are universal across all systems. Will the design be outdated? 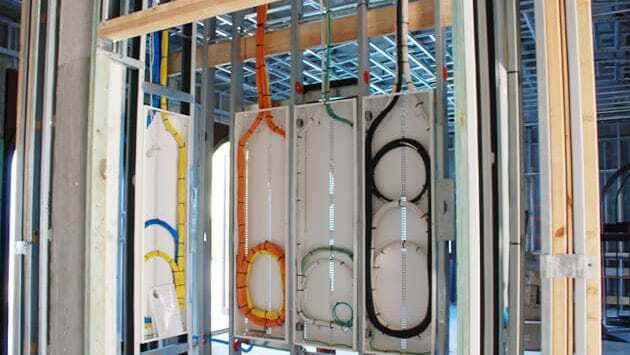 While it's impossible to ever completely future-proof your home, we spec wiring for every control system that exists. 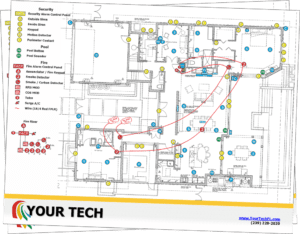 There are variables to consider like running fiber-optic cabling, and we'll discuss those various wiring types with you should we feel you need to consider them based on your home's size. 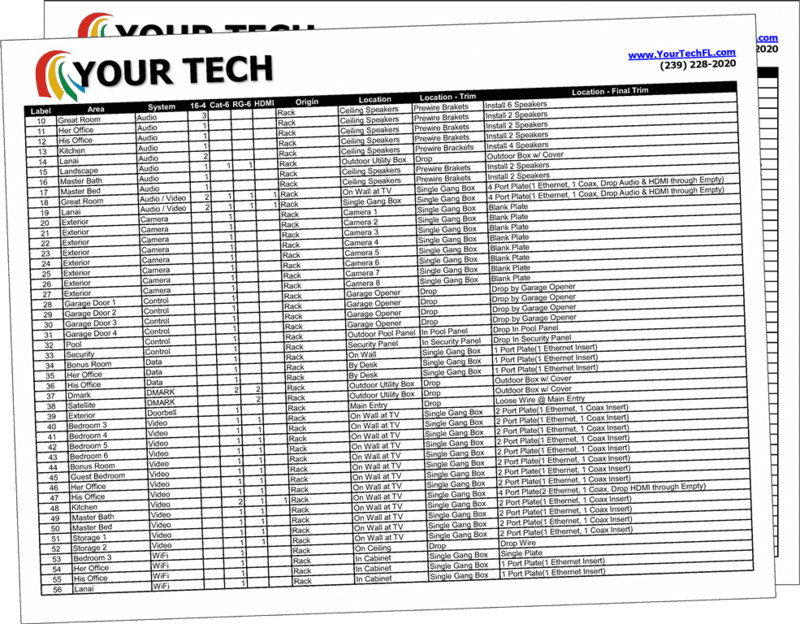 We offer a ton of resources and knowledge in our final documentation. Our clients usually feel like experts after going through this process. We're here every step of the way, and we spend a considerable amount of time helping you with revisions and answering your questions throughout the process. 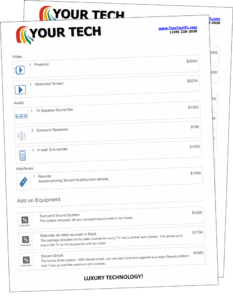 Under our flat rate fee, we don't offer help connecting electronics, programming systems or assistance with operating the systems. Would you travel here and install my electronics? We offer consulting or even installation services anywhere. For a separately negotiated fee, on your behalf, we would manage wiring contractors and achieve installation of your award-winning electronics system. Would you ship me the main rack and let me do the installation myself? Yes. 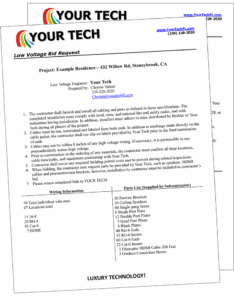 Any good installation company builds the heart of your electronics system well in advance and transports it to your home, connecting it to all the wiring that serves as a nerve center for your electronics. 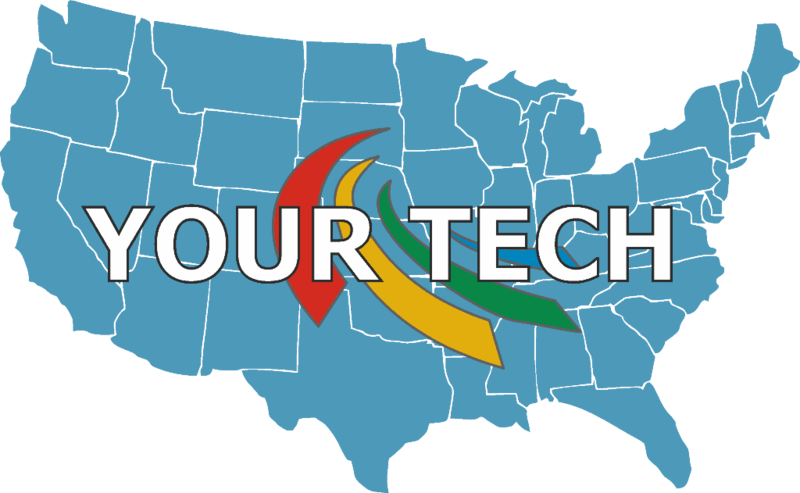 If you would like to install your own electronic devices throughout your home and have us remotely program your home, we offer that service.